Home/Daily Post/Historical/Gursikhs Used To Carry Out Nitnem/Abhyaas Of ‘Pandriyaa’ In These Days From 1st Poh To 15th Poh. Gursikhs Used To Carry Out Nitnem/Abhyaas Of ‘Pandriyaa’ In These Days From 1st Poh To 15th Poh. It was carried out in Loving remembrance of Great Sacrifice done by Family of Guru Gobind Singh Ji Sahib in these first two weeks of Poh. Guruji’s Four Sons, Mataji and Beloved Gursikhs (Including 3 Pyaare) attained Shaheediya in these days. These were the days which were considered highly spiritual and Powerful by Gursikhs as it is believed Shaheedi Faujan do beant Kirpa on Gursikhs who do abhyaas in these days. Amritvela, Naam Abhyaas, Baani Jaap starting at 1 am. Read as much Baani as possible in Day time. Do Kirtan and Vichaar of Guru Sahib’s and Shaheeds Itihaas in Evening. Eat Less , Sleep Less , More Baani and Sewa. Staying away from TV/Cinema/Movies etc. No marriages were held in Puratan times (till 80’s) in Month of Poh. Staying away from Physical relations with Husband/wife( Stay Jati-Sati). 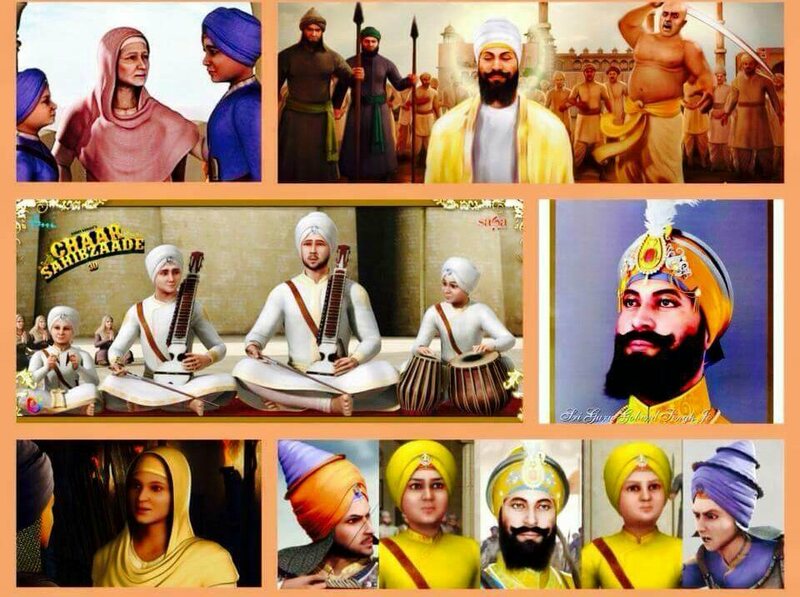 Remember Sahibzadey and Shaheeds in Ardas and Feel their Presence. (It helps Mind get over Earthly Pleasures and Bonds and take Surat to Next World, thus ending Fear of Death). Those who are Mone and not much into Sikhi must also USE these days in getting closer to Guru Gobind Singh Ji Sahib and Shaheed Singhs of Panth. Dont Cut your Hair in thes days. Bibiya please dont wear make-up. THIS IS THE LEAST WE CAN DO IN THESE DAYS OF ‘GREATEST SACRIFICE’ TO Remember Our Beloved Satguru Guru Gobind Singh Ji and Great Elder Brothers of KHALSA PANTH. We can never repay their sacrifice , but we can remember them and try to serve Sikhi for which they suffered so much.